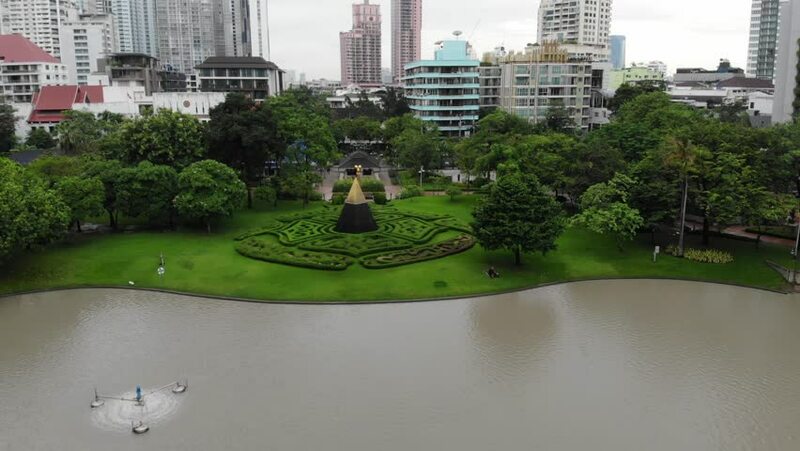 Aerial view Benchasiri Park next Sukhumvit street, Bangkok, Thailand. Aerial view of Bangkok Benchasiri Park with little lake and skyscraper on the background. hd00:13BOSTON - SEP 05, 2014: George Washington Equestrian Statue in Boston Public Garden with people at autumn sunny day. Aerial view. Public Garden was built in 1837.